In the early morning hours of Friday, January 5th, an assailant attacked the home of Patricia Gualinga with rocks, breaking windows and yelling repeated death threats at her. Gualinga is Kichwa from Sarayaku, Ecuador, and has helped lead Sarayaku's struggle to protect the Living Forest in their ancestral Amazon territory from industrial extraction, including winning an historic case against the Ecuadorian government before the Inter-American Court of Human Rights. 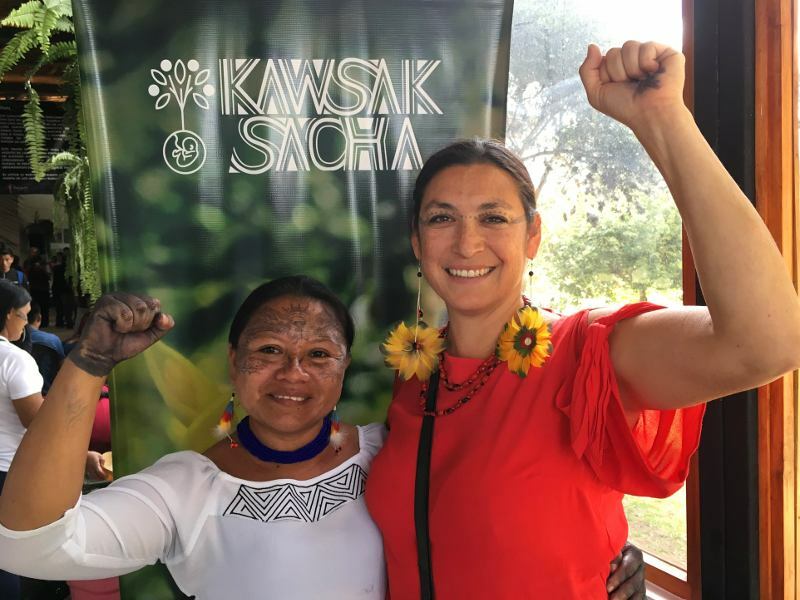 She is recognized nationally and internationally for defending the rights of indigenous peoples against oil companies and for amplifying the call to keep fossil fuels in the ground in the Amazon and across the globe. 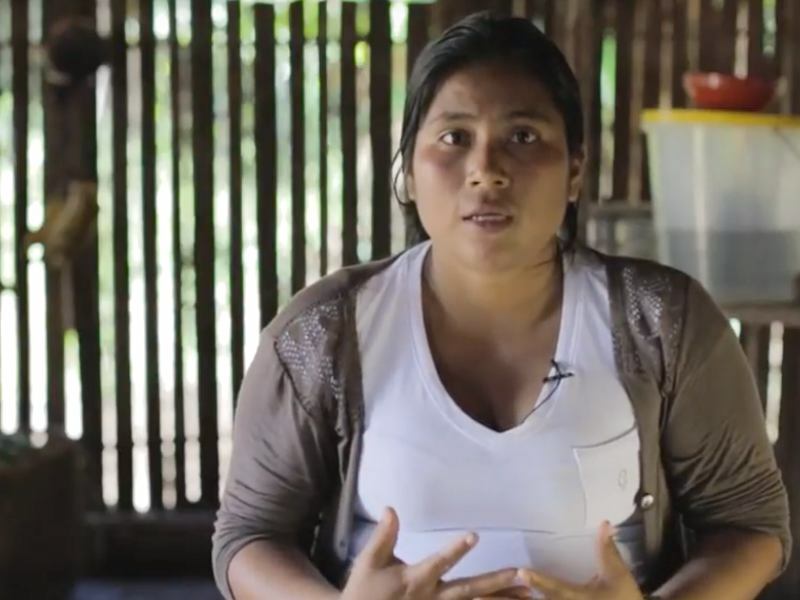 The attack against Gualinga is not an isolated incident: threats and harassment of indigenous women leaders occur regularly in Ecuador, as they do against indigenous leaders of all genders. We call particular attention to the cases of Bosco Wisum, José Tendentza and Freddy Taish, assassinated indigenous leaders whose deaths have not been fully investigated by the Ecuadorian justice system. As in the case of Patricia Gualinga, many of the indigenous Earth Defenders who have been attacked in Ecuador have opposed oil, mining, or other natural resource extraction on their territories. Throughout Latin America and around the world, those who defend land rights and nature are targeted with physical violence, intimidation, and criminal prosecution, and Ecuador is no exception. Just days before the attack, the Ecuadorian government announced an end to mining and oil concessions without prior consultation with local communities. 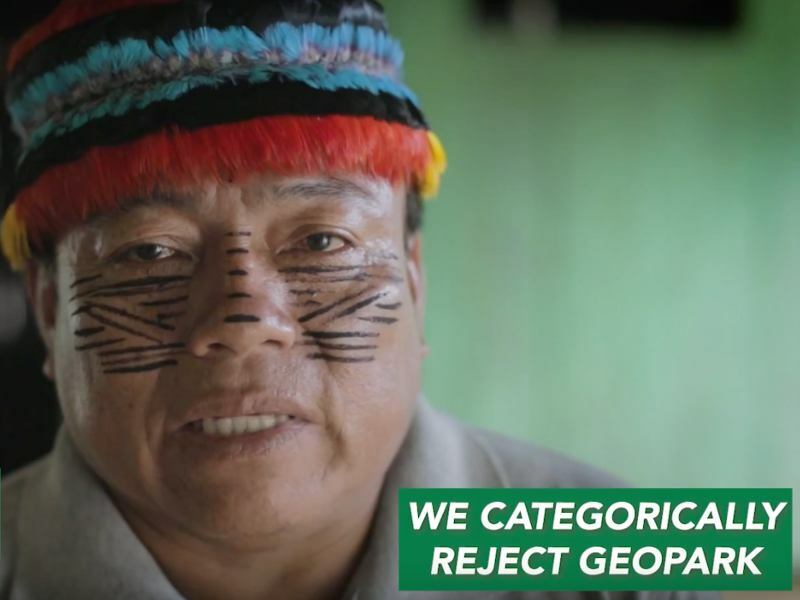 Though an important victory for Ecuador's indigenous movement, the announcement did not resolve the concessions that have been granted numerous oil blocks that overlap the Amazon rainforest territories of the Kichwa of Sarayaku, the Sápara, Achuar Shuar, Shiwiar, and the communities of Santa Clara, San Jacinto and the cities of Puyo and Shell-Mera. Patricia Gualinga, along with fellow indigenous women community leaders, have repeatedly expressed their rejection of these concessions. 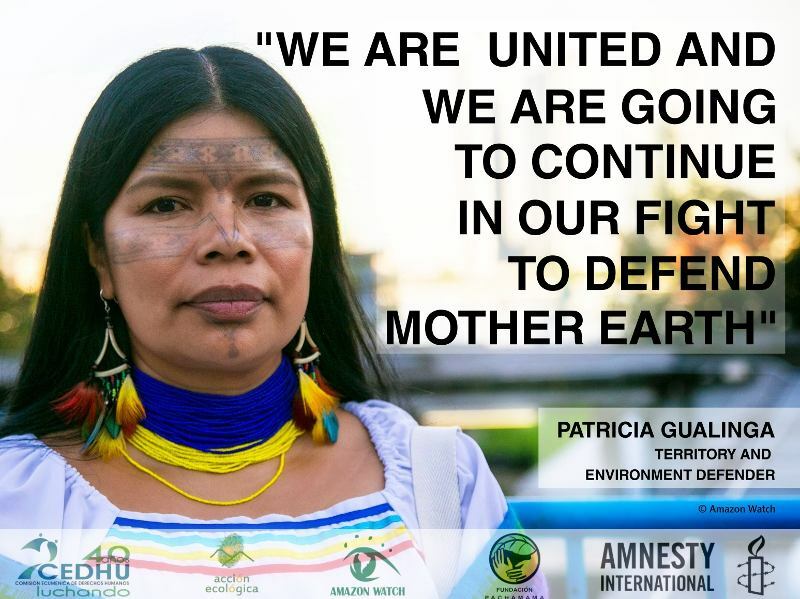 Yesterday in the Amazon city of Puyo, women leaders from indigenous organizations of the Ecuadorian Amazon held a press conference in which they expressed their solidarity with Patricia Gualinga. "We believe that these [threats and attacks]," they said in their joint statement (English translation here), "seek to generate anguish, fear, destabilizing terror, insecurity within the family and the community, in order to break the spirit of resistance and struggle to defend territory." 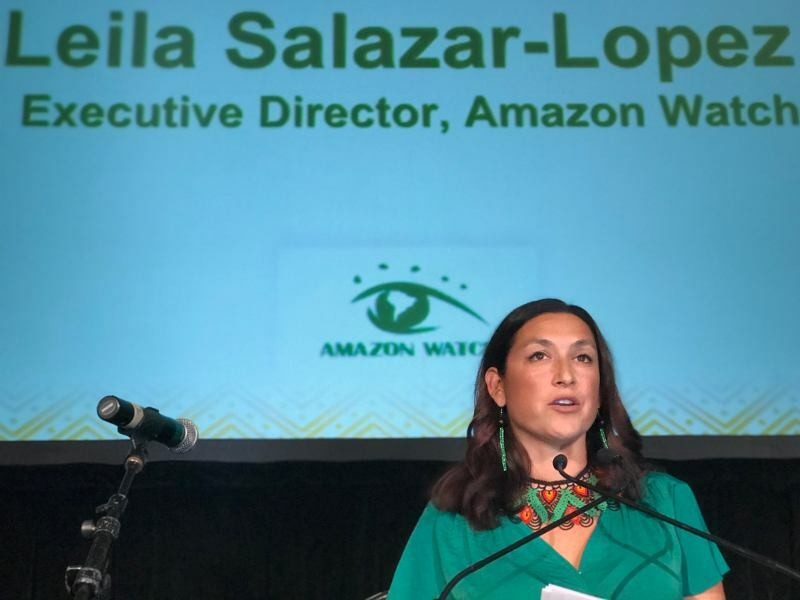 Gualinga and the Amazon women leaders are calling on the Ecuadorian government to investigate the attack and provide guarantees to protect her and all women indigenous leaders. They also promise not to back down in the face of attempts to intimidate them. 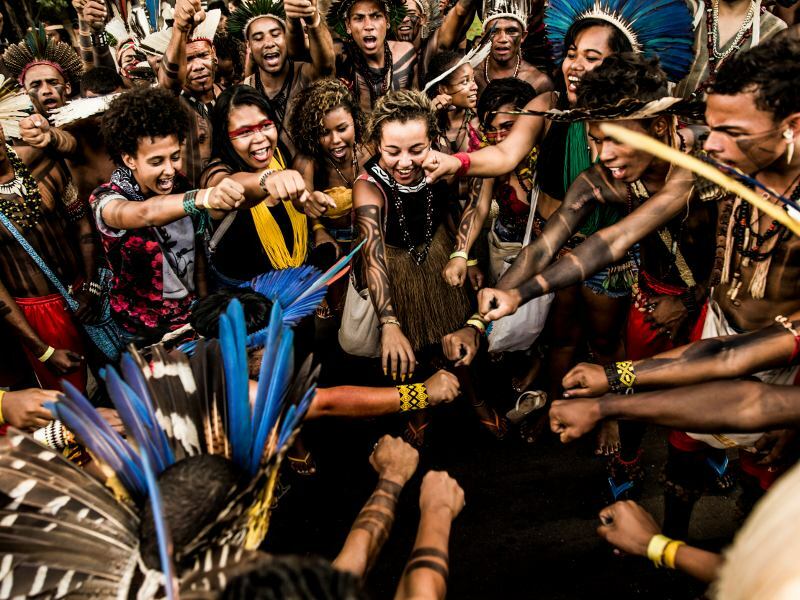 "We Amazon women are united and strong and have a lifelong commitment to the defense of Mother Earth," they said. "Although they try to frighten us, we will not be defeated and we will continue to stand united in struggle no matter the costs!" Urge Ecuador's New Oil-Friendly Environmental Minister to Reject Yasuní Oil Drilling!